Lionsgate-owned streaming service Starz is ramping up its international expansion effort with a launch in Canada, while Lionsgate CEO Jon Feltheimer has promised closer integration between the studio and Starz to fuel the latter’s international growth, and an eventual breaking out of international subscriber information as a separate line in the company’s financials. Starz has teamed up with Canada’s Bell Media to launch a new Starz channel and streaming service on March 1. Pay TV channel provider Encore will rebrand as Starz as part of the move, becoming the exclusive home of all new Starz original programming. The move will bring upcoming Starz originals including Gregg Araki and Steven Soderbegh’s Now Apocalypse and spy thriller The Rook to Bell Media customers. Bell Media’s two Encore channels and associated on-demand platform will be rebranded as Starz. Encore already carries Starz content. Following the March 1 launch, Starz will be bundled and made available across Canada as an add-on to Bell Media’s premium channel and on-demand service Crave for C$5.99 a month (€3.98). Crave currently has a base of around 2.3 million subscribers. Speaking on parent company Lionsgate’s fiscal Q3 earnings call, Feltheimer said that the company had “only begun to scratch the surface” in taking Starz to international markets. Feltheimer said that Starz and Lionsgate would be more closely integrated going forwards, with Lionsgate content supplied to Starz to help drive international expansion. “As we continue our global expansion, we intend to utilise every competitive advantage we have as a fully integrated global media company to maximise our impact in every territory we enter,” said Feltheimer. He said the pair would “augment our content offering in the UK and other territories with locally produced film and TV content” and capitalise on “our ability to quickly deploy our proprietary streaming platform across the globe”. Feltheimer said the integration would enable Starz “to scale effectively across multiple territories with our existing partners with whom we’ve already launched and with new global players preparing to enter the marketplace”. Answering an analyst question on retaining the rights to Lionsgate content to serve Starz, Feltheimer said that “some of the content potentially that we’ll want for international is going to be a little different” than that served to the domestic US audience. Feltheimer said that Lionsgate would probably start to break out international subscribers for Starz as a separate line in its accounts to provide evidence of the return on investment in the platform. He said ‘any additional launches would be very financially efficient in the [sense] of including various launch partners as well as use for our own content”. Also speaking on the Lionsgate earnings call, Starz COO Jeff Hirsh said that Starzplay Arabia’s technical platform could serve as a vehicle for international expansion, which could be used for launches “into India or South Africa”. Hirsh said that Starz was also looking to expand further in Europe, telling analysts that the company would “continue to look at markets such as the UK and Germany and the countries around there”. Feltheimer took the opportunity of the call to thank departing Starz CEO Chris Albrecht for his contribution to the growth of the streaming platform. There has however been speculation that the departure of Albrecht could enable a closer integration with Lionsgate to get underway, something that has been noticeably absent since Lionsgate acquired the premium platform. Starz ended the quarter to December with 25.1 million subscribers. 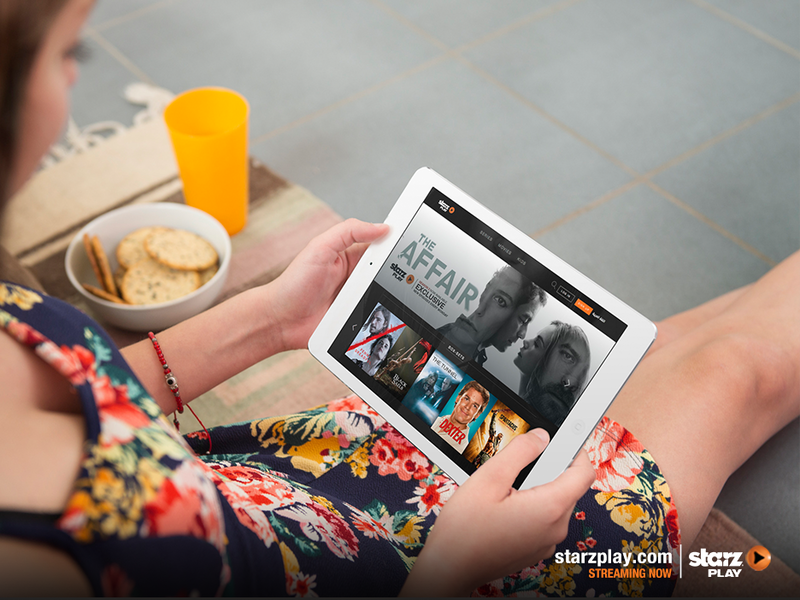 Feltheimer said that Starzplay Arabia, now had over one million subscribers. Internationally, the service is also available on Amazon Prime in the UK and Germany and on Virgin Media’s platform in the UK.